The email below was distributed earlier to FFA Alumni members. If you have an active alumni affiliate and do not see your affiliate listed below then please have someone from your alumni affiliate contact Joy Crosby ASAP at [log in to unmask]. 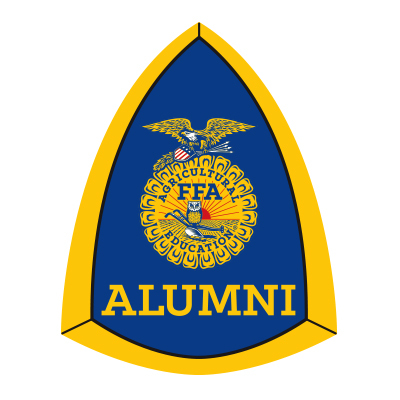 Important FFA Alumni Membership Details for all Georgia FFA Alumni Affiliates. Membership year runs Sept. 1 until Aug. 31 annually. Membership was due Dec. 1, 2016 but if you still need to turn in roster and dues then we can accept it until May Friday, May 5, 2017. Current Update on what has been submitted so far for the 2016-17 membership year. If you do not see your affiliate listed below then we haven't heard from you and do not know if you have an active affiliate. If you do have an active affiliate then please contact Joy Crosby immediately at [log in to unmask]. Affiliates that have submitted their roster to the state and paid their dues are listed below. Those with an * by their name have either not completed submitting their roster online even though they have paid their dues or they have an issue with including complete info (mailing address & email address) for a member. Please contact Joy Crosby at [log in to unmask] if you are having issues with adding and renewing members on your roster. These affiliates have submitted a roster online but have not paid dues yet. You can still enter contests at state convention if you bring payment for your dues to state convention. If you bring payment to state convention, then please make sure you mark that your check is for 2016-17 dues and turn it in at the t-shirt/silent auction area. These affiliates have several life members on their roster but they have not updated their roster for this year or paid dues. If you are no longer active or having trouble with your roster then please let Joy Crosby know. Even if you have more than 10 life members on your roster, you are not considered an active affiliate until you pay the $200 dues for affiliation membership or $100 if you have more than 25 life members. ***Do not send payment until your roster has been reviewed by Joy and she has sent you an invoice. This helps in preventing over-payment or under-payment each year. Those interested in starting a FFA Alumni affiliate or reactivating need to complete the New Charter-Reactivation Form and return to Joy Crosby at [log in to unmask]. Download the New Charter-Reactivation Form. Get social with us at .